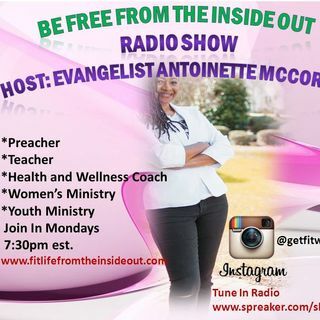 Hello everyone join "Be Free From The Inside Out Radio Show" each Monday night @7pm est. your radio host Evangelist Antoinette McCormick , teaching and preaching the word of God. God has given us the Authority!! Amen Minister Mial we have to Trust God's Plan!!! Yes it has to be that way.. Sometimes God require us to bless the ones who have done us so wrong..